« Take beer home from the Brewery!?! Beer and Biceps. I love it! So I’ll disagree with you slightly. You said, “Why hate on a brewery for trying to make money?” I contend that if the purpose is to make as much money as you can no matter what the consequences, then we should hate on that. Maybe that is what most people think about the larger brewers and that is why they say the non-independent breweries are no longer craft. If you look at Matty’s comment, that seems to be his point when he mentions supporting poor quality beer and shady marketing techniques. But I seriously doubt that is the case for any of the acquired breweries that everyone has written off as not craft. To a person, these brewers are still passionate about great beer. I still say the important items are drinking beer you like and supporting local brewers. John, First and foremost, great article. There are many different stances taken on the issue with breweries selling stakes to other companies but I tend to agree with yours. I am a big believer in achieving the American dream which includes the opportunity to make money and provide for yourself and your family and perhaps capitalism to an extent. I do not agree with making money no matter the consequences. In the case of craft beer, I believe breweries are weighing the options and making the best decision to position themselves to thrive and succeed. I do 100% agree with supporting local brewers. Here in Charlotte and the outlying regions beer is celebrated. It’s accepted and embraced by the community. I support local brewers because they make amazing beers and care about their community. It’s not uncommon to have a new brewery pop up here monthly. Full Spectrum just opened up here in SC 2 miles away from my house! 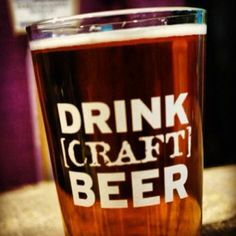 Craft Beer is culture and I’m glad to be a part of it. Keep up the great work at Terrapin. We are lucky enough up here to get a good selection including the side projects and the special releases. The Reunion Ale and Liquid Lunch turned out great. Really looking forward to the Moo-HooChiato and French Toasted. For me the percentage of ownership is a key consideration when ordering a beer. In short, I don’t want a percentage of my pint purchase to go to big beer. When you sell a significant portion of your brewery to one of the big beer conglomerates, I see this as supporting poor quality beer and shady marketing techniques. Consequently i will usually choose independently owned options. Also, given your ownership situation your comments are somewhat self-serving. I get that Tenth and Blake only owns a small percentage, and that the percentage is below 25%, but this should be disclosed to put your comments in context. Matty, thanks for the response. I actually had a disclosure in my first draft but took it out (along with several other paragraphs) because the post was getting lengthy. I’m not sure how not including it was self serving – especially when I lumped us in with the larger breweries who are no longer in the “microbrew” game. There is nothing wrong with choosing to shop independent. If you know anything at all about Athens, GA, that is a big part of what our hometown is about. So more power to you for that. What we need to be careful of though is associating independence with being local. They are two completely different things. The local brewer in your town that is 100% owned by a large macrobrew is likely doing much more for your community than the completely independent brewery from the other side of the country will ever do. That local brewer that is 25% or 100% owned by a macrobrew is pricing their product below that of the locals to knock them out of business…welcome to America,I know.But,eventually,just like dealing with the Mafia for a business loan,the macrobrews will put the screws to you. Oh,and leaving out the fact that you are 25% owned by the big boys,but didn’t think that was important to mention….what a lie. Macrobrews are buying up barley and hops at record rates to drive small breweries out of business,and you are part of that problem by being part-owned. Eventually,you won’t be brewing your own beer,and you know it.Just take the money,and be honest about it. Mark, thanks for joining in and I appreciate the comments. But where have you been my man? I thought this blog was dead and gone until I got an email notice of your post. FYI, I am no longer at Terrapin as I decided to get back to my roots and am now the proud owner of UpCountry Brewing in Asheville, NC. An awesome team is in place, we are having a lot of fun, and we might get to 500 bbls this year if all goes well. Small is where my heart is. The pricing issue? Yes I have seen some of that happening. Especially with AB and Wild Goose kegs. But the real price battle is with big vs small craft brewers. Do you really think that most small brewers out there have any chance of competing on price with the likes of Sierra Nevada or New Belgium or others like them? No chance at all. The MillerCoors ownership of Terrapin. I never hid the fact that Terrapin used to be 25% owned by MillerCoors. I went back and checked and you are correct, I did not mention it in that post. Oversight on my part I suppose. My apologies. As a correction Terrapin is now majority owned by MillerCoors. Even so, I was chatting with Spike last week, and I stopped by Terrapin for a visit. Still the same people doing the same thing and loving what they are doing. It was awesome to see the place was still rocking and rolling even though I have moved on. In conclusion I will continue to say what I have always said. I drink beers I like and I support local. No matter how large or small that local place may be.